Marquez made a near-perfect start to the 2019 season by taking second in Qatar and dominating in Argentina, and was also set to win at the Circuit of the Americas, a track where he had never previously been beaten. 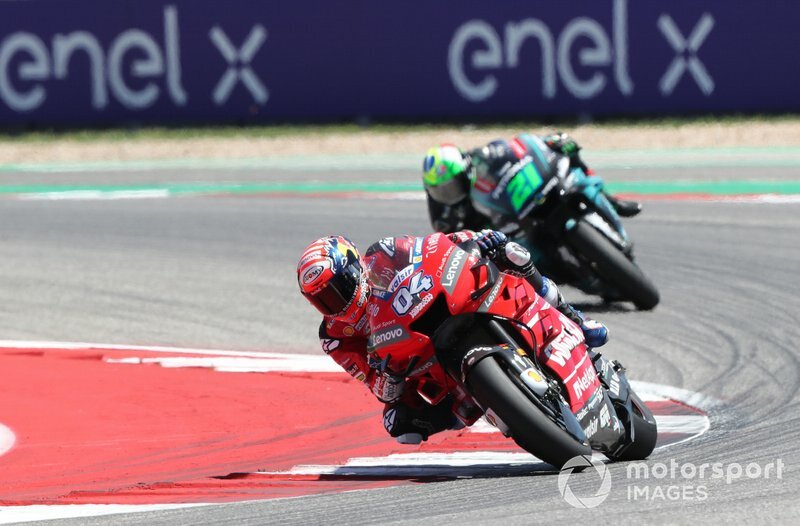 But the Honda rider crashed out of a comfortable lead at Turn 12 and failed to finish, giving up the championship lead to Ducati rival Dovizioso in the process. 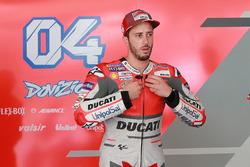 Dovizioso reckons that the reigning champion's mistake is very good for the championship, as it shows that Marquez, who had a "special" start to the season, still has weaknesses. 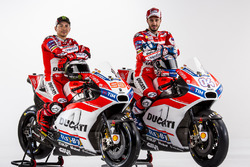 "There is a positive and negative from this weekend but I think at the end is more positive," said Dovizioso, who finished fourth and now has a three-point lead over Valentino Rossi. "Apart of being first in the championship, I think the crash of Marc, it shows he doesn't have everything under control. Most of the time yes, but not every time. "This is positive for us because in the first two races he did something crazy. He was so fast. This is really positive for the championship." 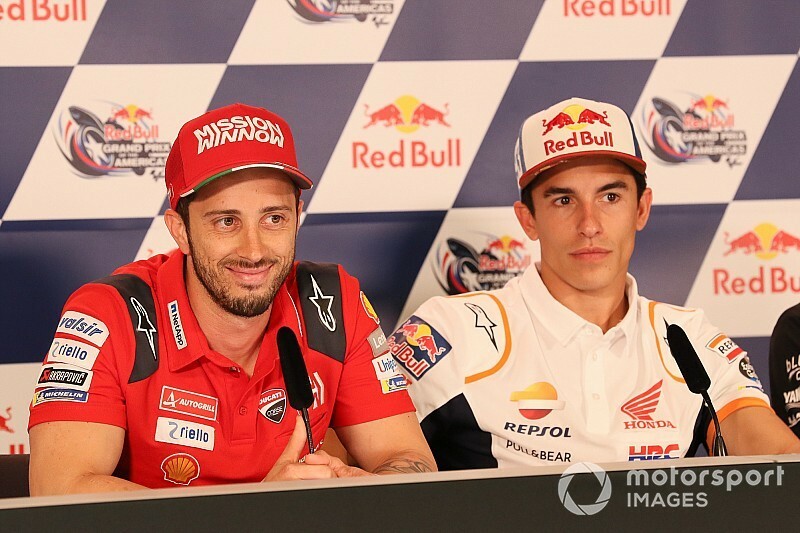 Dovizioso added that Marquez's retirement is the "confirmation that we can fight for the championship", in which he expects to have more rivals than last year. "The negative thing is, this championship is different," he added. 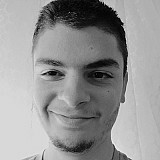 "I think Suzuki and [Alex] Rins will fight for the championship, Valentino for sure and Marc for sure. "These three riders plus me, I think we have really big chance to fight for the championship. "Also some other riders but in this moment it shows this. It is not like in the last few years I just fight with Marc at the end of the championship." "My start was so good, in my mind was clear, I did everything what I wanted," the Italian recalled. "I put myself in a perfect position, I overtake two riders first lap so I couldn't make a better start. "I was a lot of seconds [behind] after three-four laps because I lose the feeling, I almost crash in Turn 10. In the fast corners I was not fast enough. "I miss some speed in that moment, but after a really bad moment because I lost a lot of seconds, I was calm and I try with [Franco] Morbidelli to understand where I have to be smooth, better. "Still I was too slow in the fast corners but in some other place I was really fast I saw that with Morbidelli. I overtake him and I start to make a good rhythm, at that moment I was very similar to the fastest rider and this is the positive part of the race. 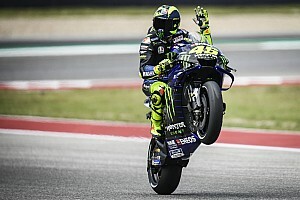 "I lose too many second in four laps, that is bad, but at the end the speed was good, also when the tyre drop and I saw Jack [Miller] lose a little bit so I try to push 100 percent until the end. "Unfortunately I couldn't catch him half a lap before but we have to be happy."